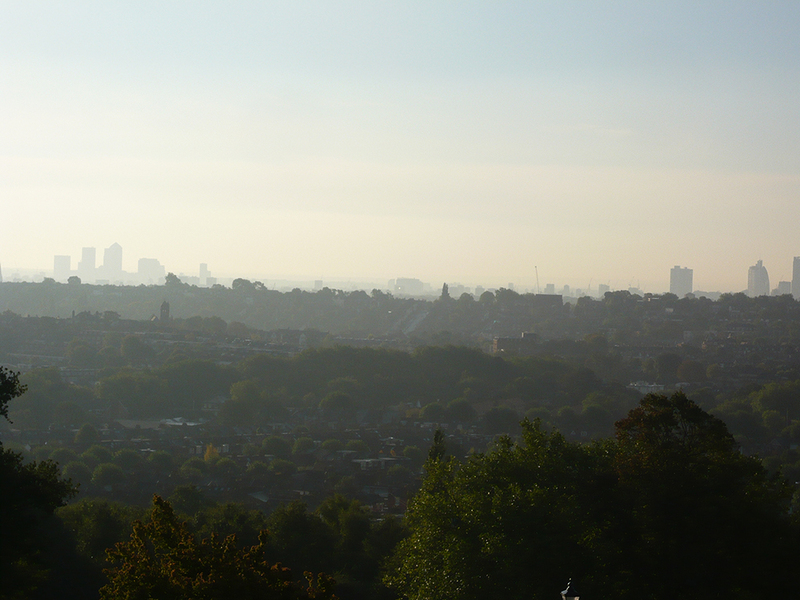 The amazing views you get from Alexandra Palace. The building is a great bit of architecture and the park is beautiful – hard to believe you’re actually in London. Hard to believe that this time last week I was in the thick of it. It was a great show, super busy with keen creative types visiting, exhibiting and selling. I met some really interesting people, talked myself silly, drank lots of tea, got a bit chilly and soaked up some inspiration. Oh and sold lots of patterns, tools and stencils! Having a stand on your own at these events is quite a mission which leaves little time for looking around to see what else is there, but I managed to dash around each morning before the show opened and these were my highlights…..some things to inspire and admire, some things you may find useful. There are always some high quality exhibitions at the Knitting & Stitching shows,Mandy Pattullo’s exhibition blew me away. I can’t believe I hadn’t come across her work before, it’s stunning. 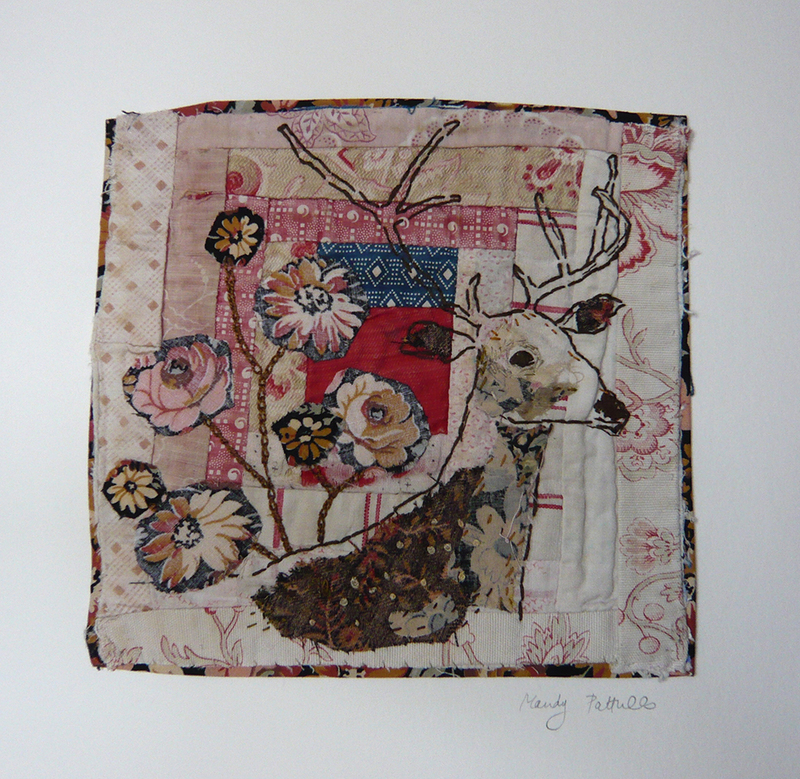 Have a look at her website to see more of her fabulous work. 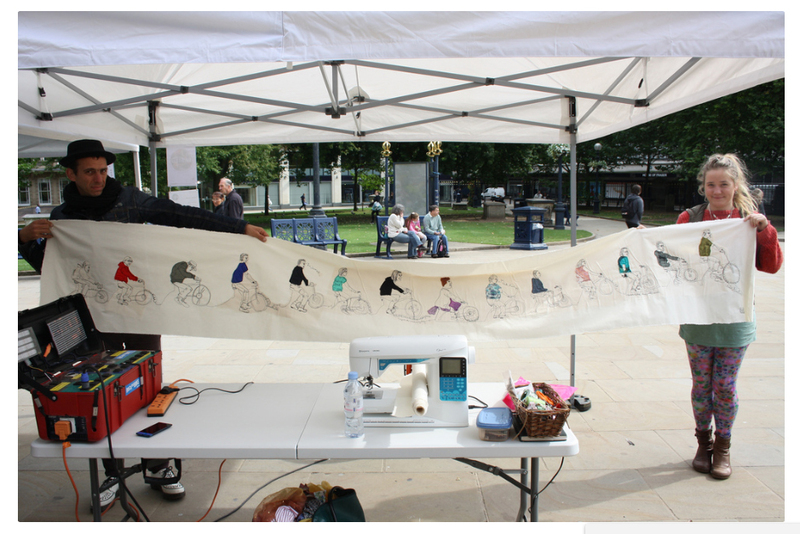 She also teaches…..
Next door but one to my stand was Harriet Riddell with her “In Stitch You” stitched portraits. Now I think you’d need nerves of steel to do what Harriet does…..basically she was using machine embroidery and appliqué to stitch portraits while people sat for her in her stand at the show with an audience watching! No way could I do that, so hats off to Harriet. Have a look at the huge gallery of portraits on her website. Image from Harriet’s website of one of her previous on-site portraits! Now for the knitters amongst you. Knitting makes me go a bit funny, I’m definitely not a knitter. I’ll have a dabble at crochet, but knitting I stay away from! I do like what these knitters are doing though…. Image from Wool and the Gang’s website. Wool and the Gang (what a genius name for a start! 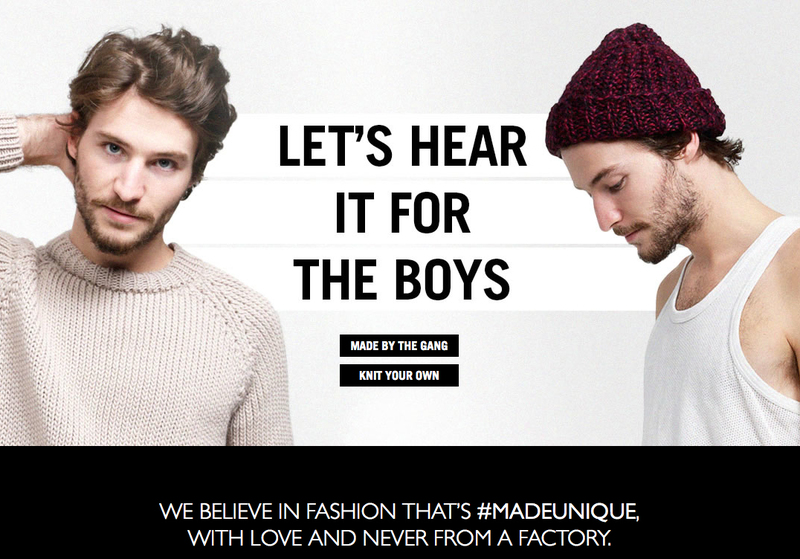 ), are making knitting very cool. They sell yarns, kits and readymades. Their website looks so slick and modern, I love it and all their readymades are made by hand by a gang of knitters from around the world. You can even knit for them yourself if you want to earn some extra spends. Find out how here. A genius name and a genius idea if you ask me. 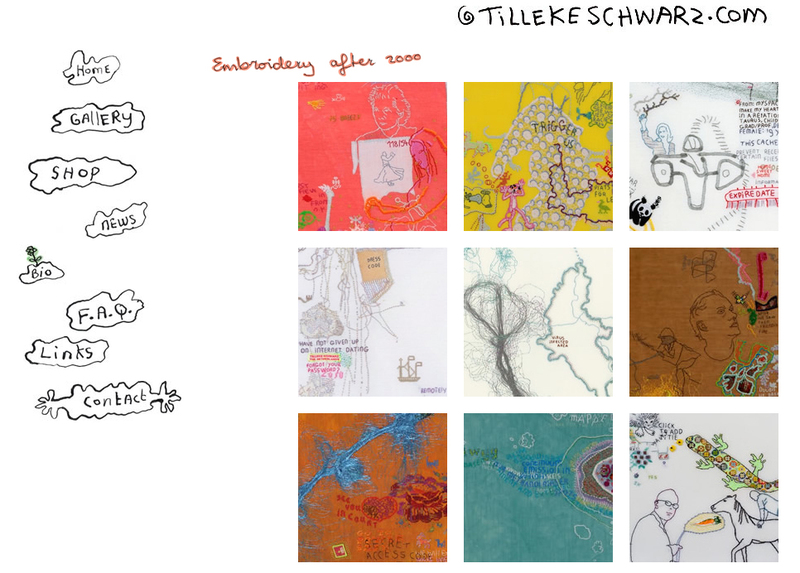 Another inspiring exhibition was by Tilleke Schwarz, an artist of whom I’ve been a big fan for a long time. 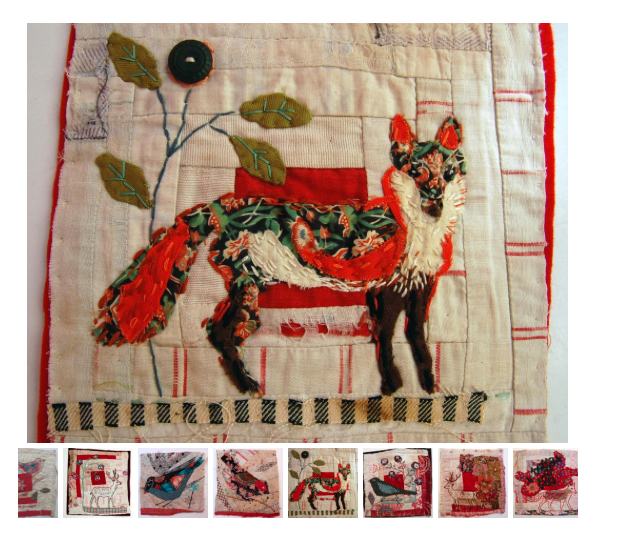 She does hand embroidered almost graffiti style stitched pieces taking everyday life as inspiration, often resulting in mixtures of poignant thoughts and situations stitched alongside things so mundane they make you laugh. Have a look at her work on her website which is in the same entertaining style. A read of the FAQ section of her website will definitely make you smile…..
My stand was next to the very busy Upcycling academy where several organisations were educating visitors about some of the darker sides of the fashion and textile industry and how we can all get involved to try and do something about it. There was much activity upcycling and customising old clothes, making rosettes, doing giant knitting and making mini protest banners. 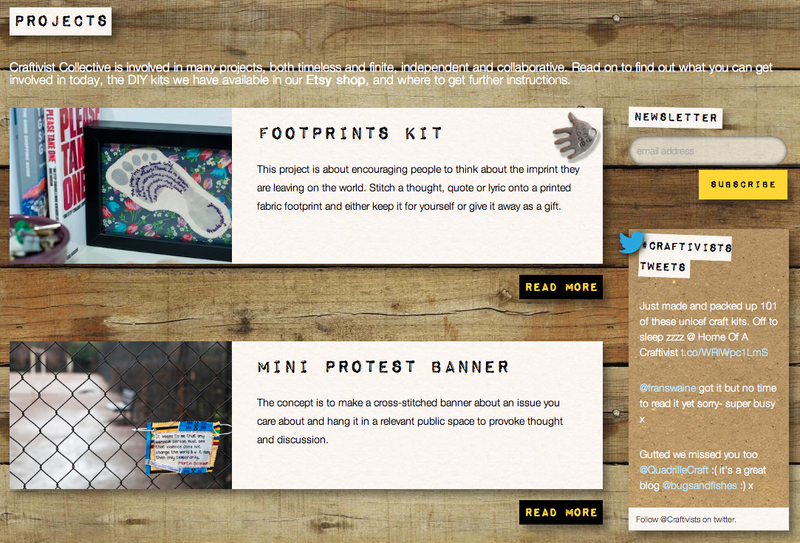 Image from Craftivist Collective website. The Craftivist Collective were one of the organisations keeping people busy. Their manifesto is “To expose the scandal of global poverty and human rights injustices through the power of craft and public art.” Have a look at the many many great projects they’ve organised on their website. I particularly like the mini protest banners. So, the main activity of the day at these events is shopping, here’s a little round up of some of interesting shops I found on my early morning dashes! Scissors – if you’re in the market for some new scissors and feel it’s time to upgrade to a quality pair that will last a lifetime have a look at Ernest Wright and Son. They make a huge range of specialist scissors and they’re still made in Sheffield using traditional skills. I have my eye on a few pairs. Maybe one for your Christmas list?! Sewing machines – I’ve always sung the praises of Bernina machines as being the ultimate machine to aim for. It seems to me that Juki are now snapping at their heels and just possibly for the serious dressmaker, overtaking them. Juki are known for making industrial sewing machines and are now putting all that technology and experience into domestic sewing machines. I have two Juki overlockers and after using most other brands, I wouldn’t have anything else. Franklins are a well established family run business who know their sewing machines and were at the Knitting Show with the full range of Juki machines. Fabrics – have a look at Fabrics Galore. Visitors to my stand were singing their praises. For a huge range of any thread you could ever want and some quality basic fabrics Empress Mills is a good place to start. If you can’t find the buttons you want, chances are you’ll find them at The Button Company or Textile Garden along with plenty of other haberdashery! If embellishment rather than making is your thing, have a look at Thermofax who do mini screen printing. I’m currently toying with the idea of running a workshop on this technique next year – could be a good solution for adding professional looking prints to your garments without the mess of traditional screen printing. Also Art Van Go has every kind of dye and fabric paint you could ever need and a very useful techniques section to explain how to use them and which is the best to use for your particular project. I also met some people I’ve only ever met online before – Fiona from the Sewing Directory, Julie Briggs editor of Sewing World magazine and lots of lovely people who follow me online, either on my blogs, facebook or twitter. It was a pleasure to meet you all! The next place we can meet “in the flesh” will be at “Made Brighton” on the 21st to 24th November at the Corn Exchange. Look forward to seeing you there!